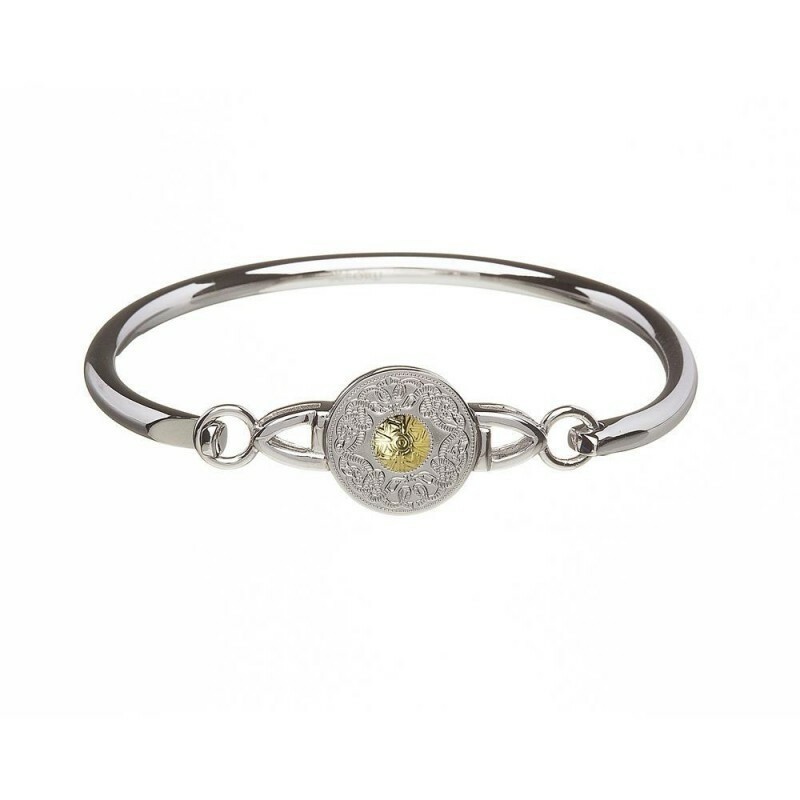 This small Celtic Warrior Irish bangle bracelet features celtic knot in sterling silver with 18K gold accent. Handcrafted by Irish goldsmiths and assayed at Dublin Castle. Each piece is presented in its own Warrior Collection presentation packaging and is accompanied by a story card. Skilled goldsmiths make our Celtic Warrior Collection in our Dublin workshop to the highest standards and then send them to Dublin Castle where they are hallmarked.